What's more awesome than watching elephants at the Cleveland Metroparks Zoo? 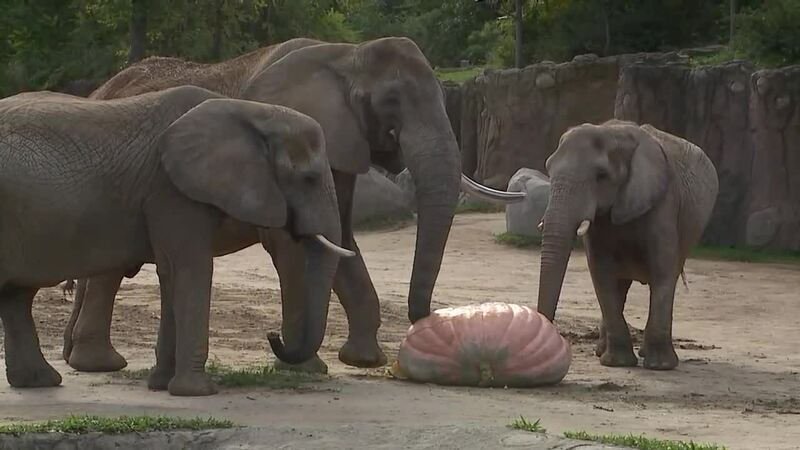 How about watching elephants chow down on a 1,300-pound pumpkin to kick off the second weekend at Boo at the Zoo. CLEVELAND - What's more awesome than watching elephants at the Cleveland Metroparks Zoo? How about watching elephants chow down on a 1,300-pound pumpkin to kick off the second weekend at Boo at the Zoo. Boo at the Zoo is an annual fall event, currently in its 29th year. The event gives visitors a chance to watch all of their favorite animals being fed, attend a Monster Mash Dance Party, or take part in Trick or Treating and other family-friendly activities.